Christian Ngan is the founder and CEO of Madlyn Cazalis, a Cameroon-based cosmetics company that manufactures natural lotions, oils, creams, scrubs, masks and soaps made for African skin. The company has a footprint in more than 50 chemist stores, beauty institutes and retail outlets in Central Africa. It also distributes its own products. As entrepreneurs, we face a lot of challenging situations all the time. One day, my lessor decided to bribe the administration to foreclose my company, even though I had no debt and my company paid its rent. The official motivation was “illegal activity”, but the real motivation was jealousy. We were closed for a week, but I stayed calm, knowing this action was illegal. After a week of discussion, the administration decided to unseal my office. That’s one of the many stories I can share. It’s probably the new factory Madlyn Cazalis is building in the Yaoundé suburb. After only six years in the business, I managed to invest more than US$2m in a 2,000m² factory to enhance productivity and capacity for my business. I did it in less than a year and in August 2018 the plant will be fully operational. It’s probably the biggest organic cosmetic factory in West Africa. The company projects to produce more than three million products a year by 2021, hire more than 100 people and export to more than 20 countries. That’s the business achievement I’m most proud of. My greatest weakness was not having enough talent around me for a long time. It was difficult to find the right people. Then I decided to train, motivate and coach. Training is important in Africa because we often tend to choose between honesty and competency. It was difficult to find honest, skilled people. But, with time, I managed to empower my employees and they are now good managers. I don’t believe in luck, I believe in work. Some people say that you also need luck to succeed, but I think that when you work, it’s for attracting luck. If you are often lucky, for me, it means you are working toward your success. 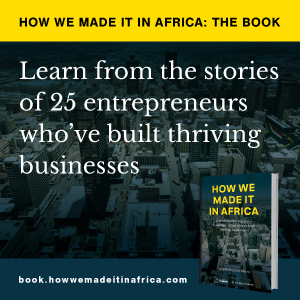 I wish I knew more about the way business works in Africa, and especially in Cameroon: how people act, how people behave and what’s important for people when they do business. But I don’t regret it, it’s part of my learning curve.